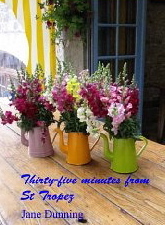 Author Jane Dunning has spent quite a bit of time holidaying in the South of France, which inspired her to write her first novel Thirty-five minutes from St Tropez that is available in ebook format and that she kindly sent me a copy of. In this book we follow an extended family, some of who live the luxurious high life in Provence as they prepare to gather together to celebrate a special wedding anniversary. It gives a glimpse into another world (for me at least) where expensive properties with stunning views, sports cars, charity galas in Monaco, luxury yachts and fine dining are the norm. There are plenty of local area descriptions, from the coastal resorts and marinas to the twisty roads, villages and vineyard-covered hillsides to whet your appetite for the best Provence has to offer. Talking of appetite, the local cuisine gets good coverage too. The plot is quite simple, but there are a lot of characters to try and keep tabs on as you move through the book, which I did struggle with a bit at first. On a personal level I also felt it was a bit too over-wordy with too much explanation. I want a book to scoop me up and whisk me away, unfortunately although I could visualise the location I was left feeling like I was on the outside looking in. It just lacked a bit of va va voom! I have most definitely read far worse and these are just my views so I would be really interested to hear what you think if you have read it. Jane has shared some lovely photos of the places featured in the book on her Facebook page. I finished this book last week. It is a bit different from the usual "Village life" books i have already read but nice to dip into the more oppulent life style. 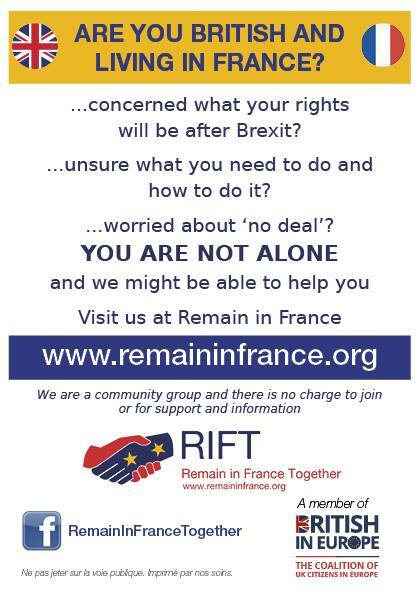 Thanks for that, it certainly is a glimpse on a different world to my rural French village.